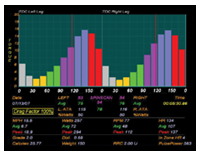 SpinScanTM Pedal Stroke Analyzer is an exclusive feature of CompuTrainer that helps you increase power and efficiency. It will identify "flat" or "dead" spots in the pedal stroke where optimal power is not transferred to the drive train. 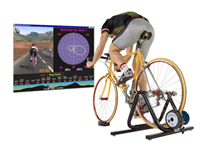 Book Now and improve your cycling efficiency. More efficiency More Power LESS fatigue.